When you’re looking for the best small business point-of-sale (POS) system, it’s important to understand what sorts of tools you need to help run and grow your business. When you’re looking for the best small business point-of-sale (POS) system, it’s important to understand what sorts of tools you need to run and grow your business. A good POS system for small business lets you process every sale securely and has the right software to help you take care of administrative tasks more efficiently. The kinds of sales you make and the sorts of tasks you need help with depend on your business type. 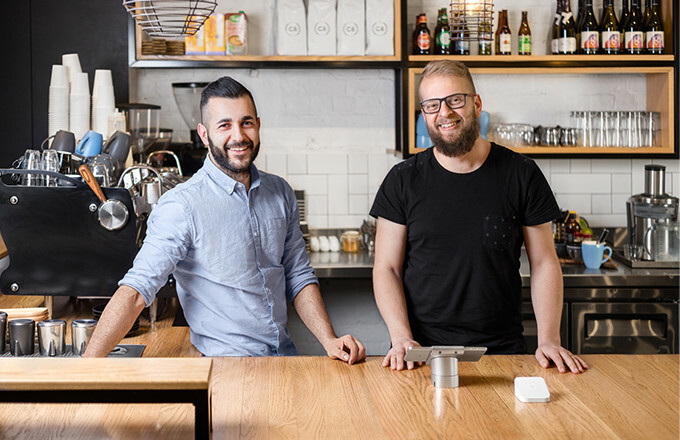 A busy cafe might have different needs than a clothing boutique and a small business POS system that works for a plumber understandably might not make sense for a fitness studio. For any small business POS system, cost (initial as well as ongoing), security, PCI compliance and usability should be the top factors in choosing the best POS system. This article helps you understand what to look for in a POS system so you can make the right decision for your business. A POS has hardware that allows you to accept payments. If you’re getting a new POS system, you should make sure it accepts all forms of payment including cash, credit cards and mobile payments. If it makes sense for your business, your POS system should also print receipts, store cash in cash drawers and scan bar codes. 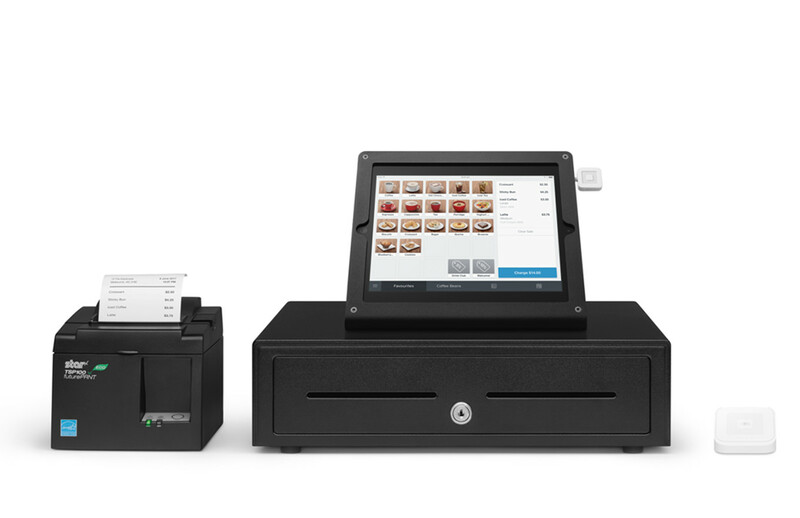 If you’re running your Square POS software through an iPad, Square Stand is a great solution for your countertop. POS software is your command centre. At a basic level, it allows you to find items in your library and ring up sales. More robust point-of-sale solutions also feature helpful tools like sales reporting, customer engagement software, inventory management and more. POS systems also take care of routing funds to your bank account after each sale. The right POS for your business can ensure that you capture every sale and help you streamline time-consuming administrative tasks. If you want to accept credit and debit card payments and have a streamlined system for tracking sales, it’s probably a good idea to invest in a POS system built for small business. Even very small businesses benefit from a good POS system. While you can take card payments using a standard credit card processor, there are a lot of benefits to using a small business point-of-sale (POS) system. For starters, every time you take a payment using a POS, all the data from the sale is tracked and recorded in the system. This is key for inventory management, which a small business POS system helps you keep track of. For example, Square Point of Sale, our POS system, can send you alerts when you’re running low on an item, so you can reorder in time. Good POS systems for small business also offer comprehensive sales analytics and data. With Square you can see if you tend to sell more croissants or muffins on Mondays, for example — helpful when you’re placing an order with your bakery. Small business POS systems often offer multilocation management, so you can effectively monitor your business’s different branches. However, it’s worth noting that some POS systems charge extra for each additional location, which can be frustrating if you’re trying to expand. (Square offers multilocation management free). If you own a shop, you likely need a small business POS system that offers inventory management and can connect to a barcode scanner and receipt printer. Square Point of Sale, our point of sale for small business, does all this and more. If you run a home and repair business, you need a super-mobile POS system for small business that allows you to easily take secure credit card payments at the job site. 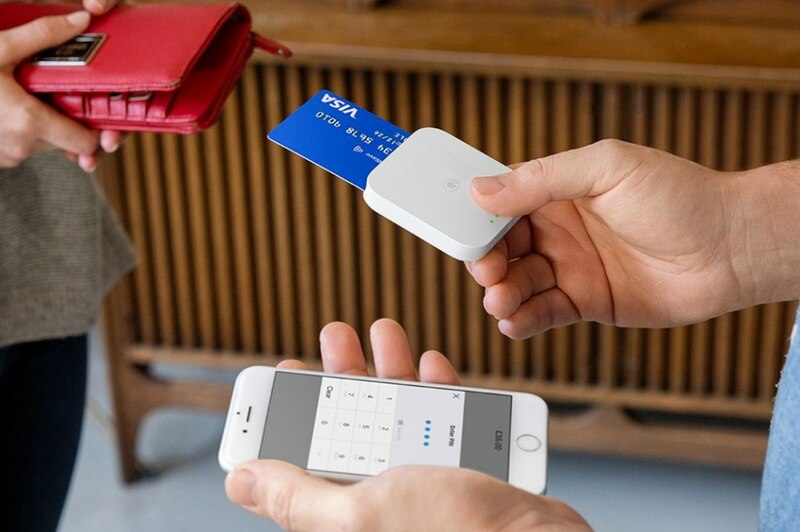 Square’s small business POS system is also compatible with Square’s free magstripe backup reader, which is small enough to fit in your pocket and plugs into the headset jack of your iOS or Android device, perfect for when you’re faced with a customer’s international cards or faulty chip and PIN card. iPhone 6/6s users might want to check out the Otterbox uniVERSE Case, which mounts the Square Reader to your phone to take payments on the go. Definitely not something you can do with a traditional credit card terminal. Want to bill customers instead? Square’s fully integrated Invoices software is free to use and is great for contract work of all kinds. You pay just 2.5% for each invoice paid securely online. Bars and restaurants are unique beasts and require a number of specialised features in their points of sale. When shopping for a good small business POS system, be sure to look for one that makes it easy to change menu items and communicate with the kitchen or bar with item modifiers and printed kitchen tickets. Well-designed POS systems for small business have the ability to split tickets between diners and keep open tickets for customers who want to settle their tab later on. With any POS system for restaurants and bars, you want to easily reconcile cash sales and keep track of pay-outs so closing at the end of the night is a breeze. And don’t forget about built-in tipping to keep your staff happy. Square’s POS system for small business does all this, and it syncs easily with great third-party apps. 1. Do I need to pay a monthly fee for POS software or to use a POS system? Many POS systems for small businesses are pieced together with each component coming from a different company, each with its own set of fees. For example, the POS software provider often charges a monthly fee. That scales based on the size of your business and how many sales you process. The hardware (payment terminal) could come from a separate company and might have a rental fee, along with an annual contract. The payment processor might charge monthly fees and even a PCI-compliance fee in addition to a transaction rate for each credit or debit card sale. But that’s not all. There are often extra costs for additional users, advanced reporting and multilocation management. Some small business POS systems even charge extra for full customer support. And that doesn’t even include credit card processing fees (which often have hidden fees of their own). Square is different. You get a fully integrated, feature-rich point of sale system for small businesses, all for one simple payment transaction price. Square’s fees are just 1.75% per NFC or card payment. That’s it. No hidden fees, long-term contracts, or commitments. We also never charge PCI compliance fees, and there are no POS software fees. Our friendly customer support team are knowledgeable about our products and you can get answers by calling our free phone number or visiting our online support centre. Our hardware is affordable, secure and attractive, so you feel good about giving it pride of place on your countertop. 2. What alternatives to a POS system can I use? 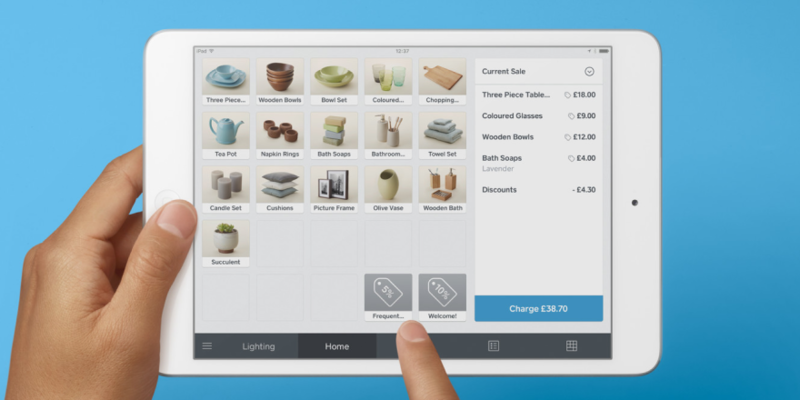 Invoices: Square Invoices is an easy way to send invoices to clients through our free POS app, Square Point of Sale. Invoices are always free to send and cost 2.5% for each invoice paid securely online. If you need to charge a client or customer on an ongoing basis, say a weekly dog-walking service or monthly catering delivery, you can set up recurring invoices. Your customers can even securely store their cards on file so recurring invoices are paid automatically. The cost for Card on File is 2.5% per invoice paid. However, invoices aren’t suitable for all types of business, and in general could be more appropriate for repeat clients. For one-time clients, it might be better to get payment in person so you’re not caught out with a customer who chooses not to pay. 3. What’s the difference between POS systems and cash registers? At their most basic level, small business POS systems include credit card payment hardware and a system that sends the funds to your bank account. POS systems for small businesses can also contain software to help you run and grow your entire business, like detailed sales reports and analytics, marketing tools, customer relationship management, loyalty programs, gift cards, etc. Cash registers, on the other hand, are simply machines that record sales, give change and store money. It’s important to keep in mind that cash registers don’t take credit card payments. You need a separate card processor system for that. Cash registers have basic functions and can do some simple reporting, like telling you how many sales you made that day. Square’s point of sale for small business, for example, can show you which are your busiest times of the day and the week. You can learn which are your best-selling items and what percentage of your customers are new versus returning. All of which is super-useful for making informed decisions about how many employees to schedule for different shifts, which products to stock and how to focus your marketing energies. 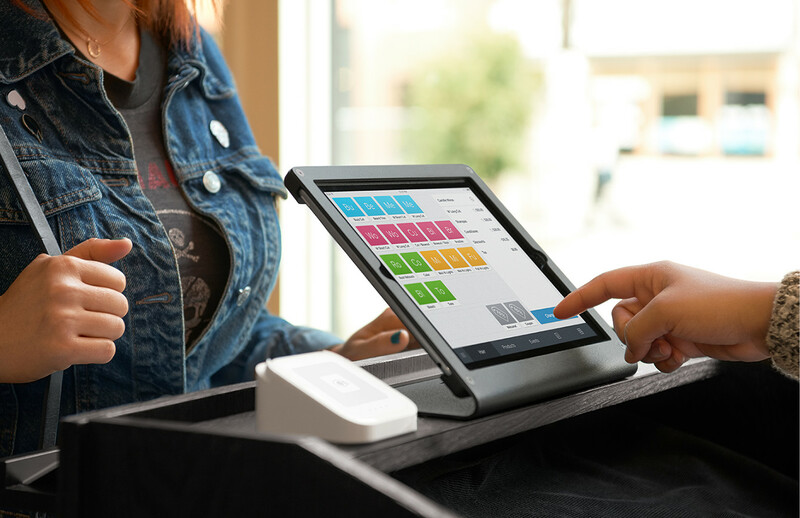 If you choose to run your business with Square’s small business POS system, it integrates beautifully with Square’s stylish, simple hardware and can easily be connected to a cash drawer. 4. If I buy a POS system, does that make me PCI compliant? Short answer: not necessarily. PCI compliance requires that you comply with a checklist of requirements designed to ensure sellers and organisations process cardholder data safely and securely to prevent fraud or data breaches. Compliance is clearly important, but all the requirements can make it seem pretty daunting. When choosing a point of sale for small business, you definitely want to make sure it’s PCI compliant. However, just because your POS software or payment processor is PCI compliant, it doesn’t guarantee that you are as a seller. For example, imagine you get a PCI-compliant POS system and card terminal. You might think you’re good to go, however, PCI compliance is about your entire payment ecosystem. How secure is your Wi-Fi network? Where do you store customer data? (Hint: Keeping credit card info in a spreadsheet doesn’t pass muster.) If your whole payments system doesn’t meet PCI-compliance requirements, then you’re not actually PCI compliant. It’s especially tricky because PCI rules can change, so with traditional POS systems, you might need to manually update the software, payment terminal, Wi-Fi or other systems in your environment to keep them compliant. 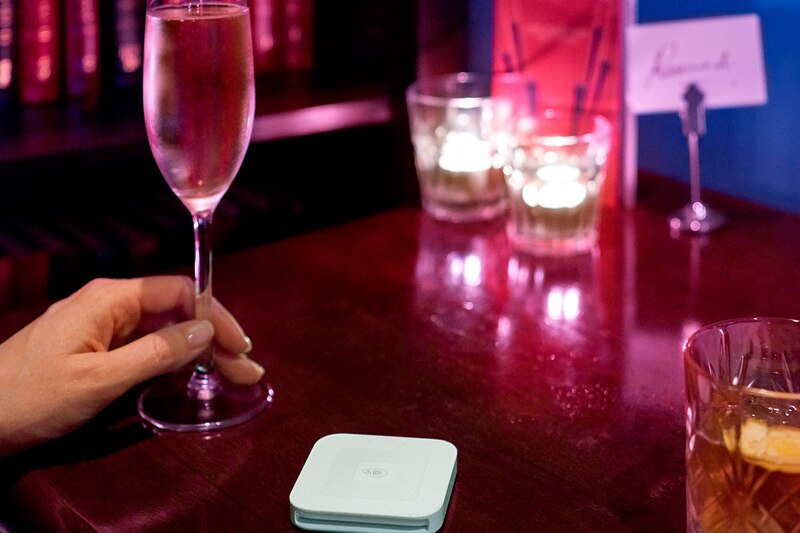 Fortunately, if you use Square as your small business POS system, we’ve got you covered. Since we provide the whole payments environment, we make PCI compliance simple. Basically, we provide an integrated solution across payments, POS hardware, software and customer data. We use end-to-end encryption so your customers’ data is safe from the moment the card touches our system. And because we push updates over the cloud, if the PCI checklist changes, you always have the current version and can rest easy knowing you’re compliant. You can learn more about PCI compliance and how Square uses industry-leading PCI standards here.